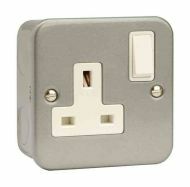 Single 13A / 13 Amp metal clad socket, complete with surface mounting box. 16A blue 3 way splitter. Single phase, 230V. Commonly used connection on generators and on campsites. One male end and three females. IP44 rating. 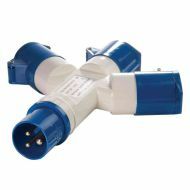 Industrial 16A / 16 Amp 3 pin blue inline socket. 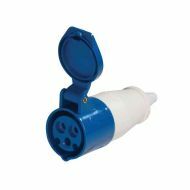 Industrial 16A / 16 Amp blue wall mounted male plug. Single phase, with 3 pins (2P + earth). 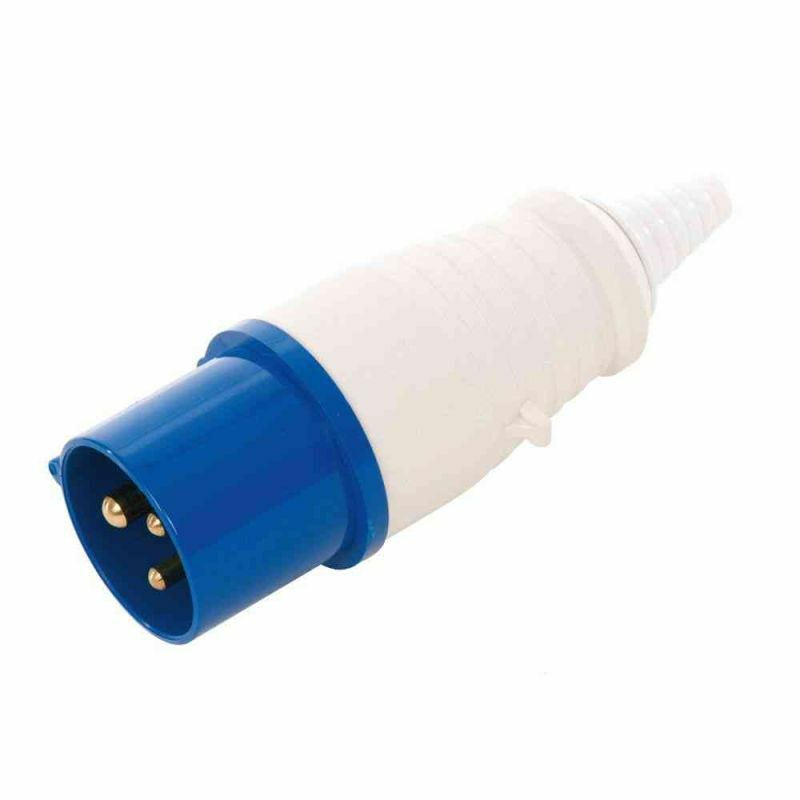 Industrial 16A / 16 Amp 3 pin blue plug. Single phase, with 3 pins (2P + earth). Industrial 16A 3 pin blue wall socket. 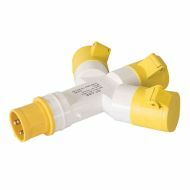 16A / 16 Amp yellow 110 Volt 3 way splitter. Single phase, one male end and three females. Commonly used connection on generators and building sites. IP44 rating. 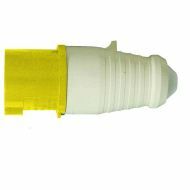 Industrial 16A / 16 Amp yellow 110V socket. Commonly used connection on generators and on building sites. 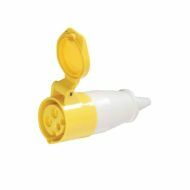 Industrial 16A / 16 Amp yellow 110V plug. 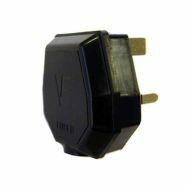 Single phase, with 3 pins (2P + earth). 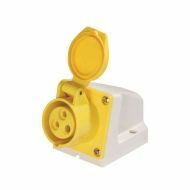 Industrial 16A / 16 Amp yellow 110V wall mounted socket. 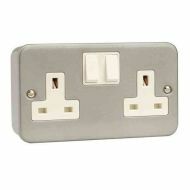 Double 13A / 13 Amp metal clad socket, complete with surface mounting box. 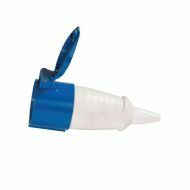 Industrial 32A 3 Pin Blue Inline Socket. 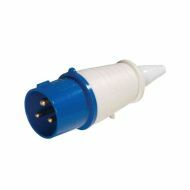 Industrial 32A / 32 Amp 3 pin blue plug. 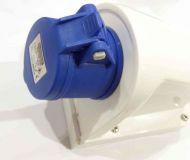 Industrial 32A / 32 Amp 3 pin blue wall mounted socket.